The Erie Canal stretches over 500 miles along upstate New York and is known as one of the United States' greatest feats in engineering. Stone locks, lift bridges and guard gates used in the 1800's are still used to operate the canal today. 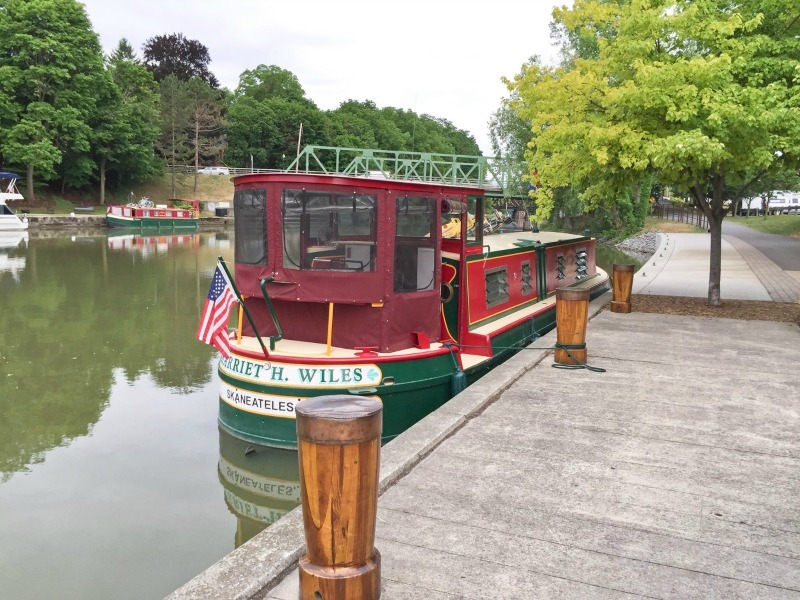 The Erie, Oswego, and Cayuga-Seneca Canals are filled with history, architecture, hundreds of miles of scenic waterway with charming canal towns and trails for exploring. 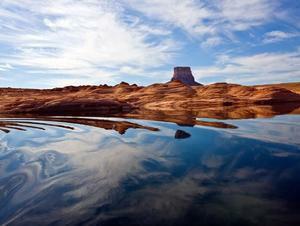 There's so much to do (and all too often on vacation, so little time.) 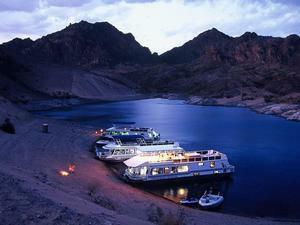 One of the many great things about a houseboat vacation is that your vacation is tailor made to your preferences. You set the pace and the route! 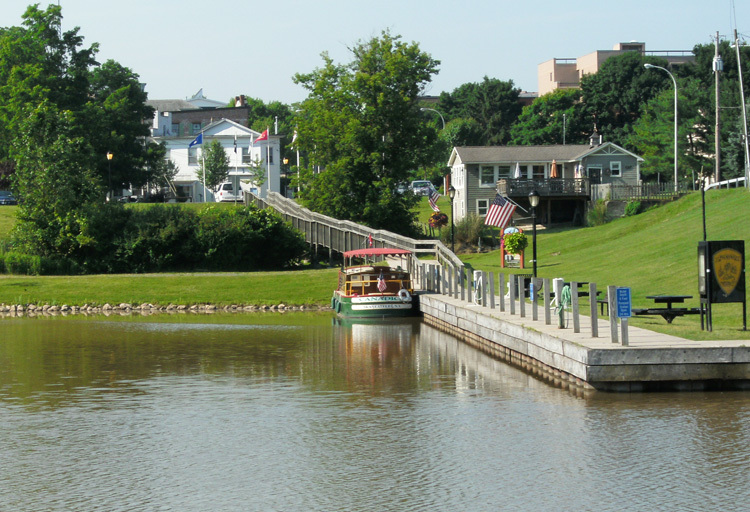 You will begin your Erie Canal adventure at Mid-Lakes Erie Macedon Landing marina in Macedon, New York where you can venture either East or West on the Canal. 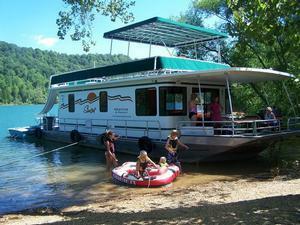 The following is an example of a 7 day houseboat itinerary heading West from the marina in Macedon. Arrive at Mid-Lakes Erie Macedon Landing marina at approximately 1:30pm. Your orientation will begin at 2pm. 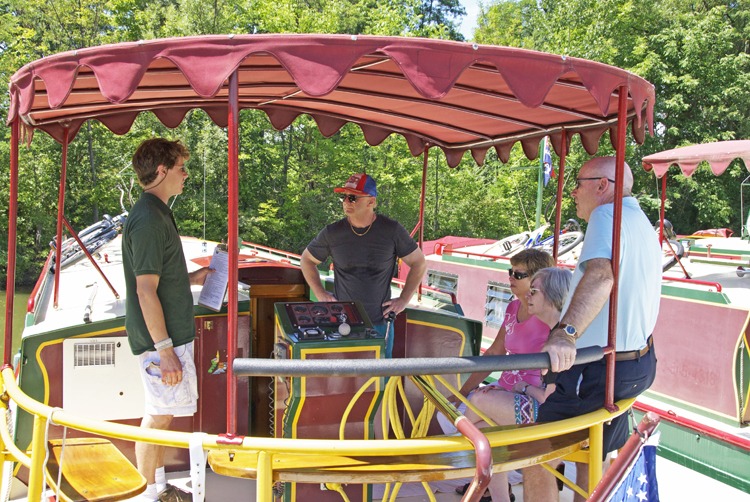 The orientation takes a few hours and ends in Lock 30 in Macedon where staff will guide you through your first lock. After your orientation, head out west to Fairport, a bustling canal town with a Farmer's Market, and home to Fairport Brewing Company. Enjoy your first night in Fairport at one of the local restaurants. Don't miss the slanted lift bridge. 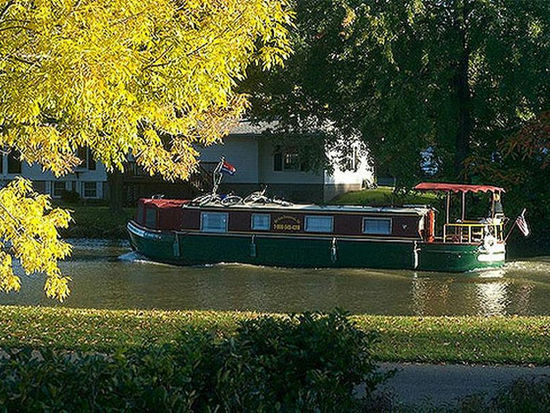 Cruise through the Rochester area, and look down as you cross the Grand Embankment at Bushnell's Basin where the canal is 70 feet above ground! West of Rochester is an area of lift bridges. Radio the bridge tender to have the bridge raised in order to pass. Brockport is a busy college town during the school year. You can enjoy your time in the area at Timber Ridge Golf Club, antiquing, local wineries and breweries, or simply taking in the atmosphere and architecture. Take a walk into town and dine at one of the restaurants, or come back to the boat and enjoy a BBQ in Harvester Park. 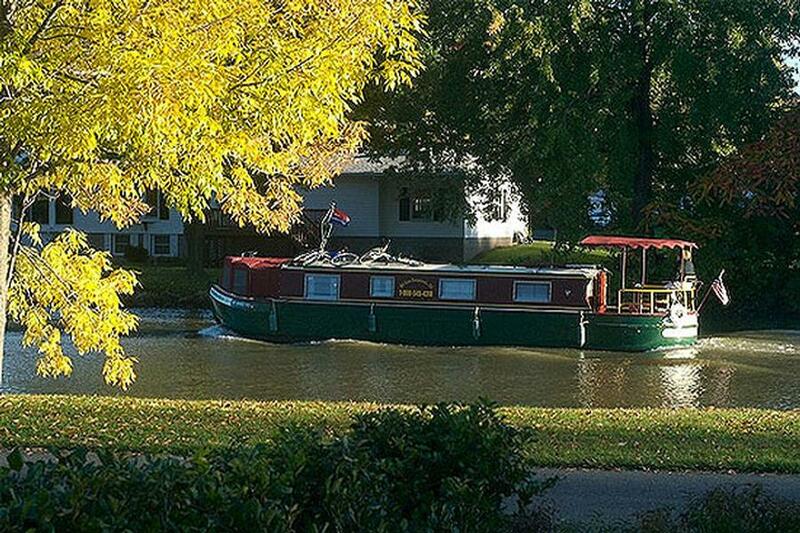 Keep traveling west through charming canalside villages. Take a few breaks to explore Holley, Albion and Medina. In Medina, look down over Oak Orchard Creek. You'll reach Lockport in the evening. Dock just beyond the set of double locks, which is one of only two sets of double locks in the state of New York. Explore the set of five locks from the original Erie Canal. Be sure to visit Lockport Cave (they have underground boat rides); there are also several wineries and vineyards nearby. The town of Lockport also offers several dining and shopping opportunities. Lockport is very close to Niagra Falls. 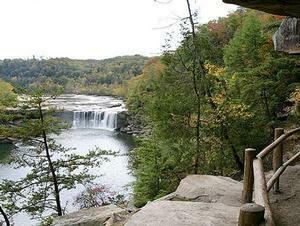 You can rent a car in Lockport and spend a few hours at the Falls, only a 30 minutes drive. It's time to head back east in the afternoon. Depending how far you get, you may want to spend another night in Lockport or head on to Middleport. Make a point to meander through Medina and Albion to appreciate the unique architecture. Stop at Culvert Road, just east of Medina and wait for a car to pass beneath the canal. Built in 1923, it's the only road to pass under the canal. The Canalway Recreational Trail is also in the area, running along the north side of the canal. 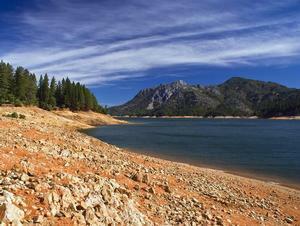 It's a great place to ride the bikes that are included with your houseboat rental. You can even drop some of your party off in one town and pick them up in the next, watching from the boat as they bike along the path. 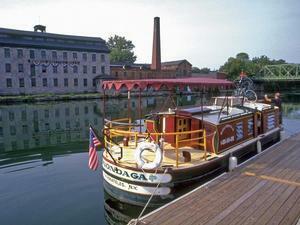 Cruise to Spencerport and enjoy the shops and restaurants. Cruise back through the Rochester area and make a northward turn onto the Genessee River, which is navigable through the Corn Hill section of Rochester. Enjoy the city sights including High Falls, a natural water fall; or the Susan B Anthony House, a museum with artifacts in the former home of Susan B Anthony and the site of her 1872 arrest. Both are a short taxi/uber ride away from the Corn Hill area. Continue on to Pittsford for the night, a busy little canal town with shops and dining facilities. 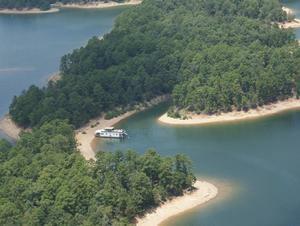 Your last day of cruising, slide right past the Macedon marina and head to Palmyra. Stop and explore the remains of the 1860's Lock 60. You'll want to stop just before Lock 29 and take a walk around Aqueduct Park. Just east of Lock 29 is Palmyra's new canal basin. The basin is near the center of this historic village that is full of historic sights and museums. Enjoy your final evening aboard the Lockmaster. It's about an hour back to Macedon, so you'll want to get an early start in the morning to return the boat by 9am.